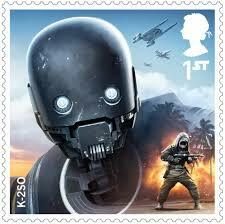 Royal Mail announces new line of Star Wars inspired stamps to celebrate Star Wars: The Last Jedi! They come out on October 15th 2017! 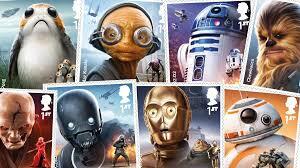 Royal Mail has released eight new stamps to celebrate the new Star Wars movie, The Last Jedi! 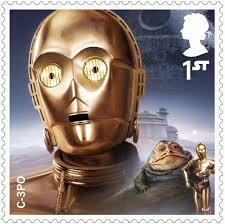 The new stamps come out on October 12th. 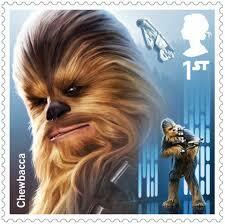 Some are expected to be limited edition with less than 750 being printed. 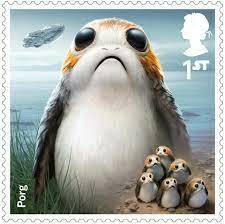 The stamps include a Porg, Maz Kanata, R2-D2, BB-8, C-3PO, K-2SO, Supreme Leader Snoke, and Chewbacca! 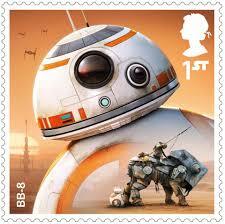 Royal Mail issued a previous set in 2015 to mark the release of Star Wars: The Force Awakens. 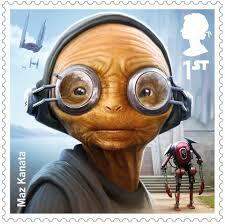 Collectors tins and special presentation packs are available on the Royal Mail store and range from £6.50 to £100. 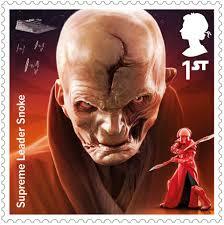 You’ll be able to pick up the stamps at most Royal Mail post offices from the middle of October though. 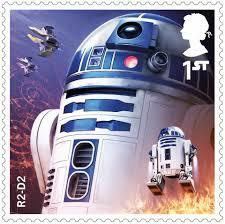 Star Wars: The Last Jedi is blasting its way onto cinema screens from 14 December 2017.